Cannes 1968 was the festival that never ended. It made perfect sense in a year marked by turmoil, drastic change, growth spurs, counterculture and an explosion of creativity and talent, all at the same time. 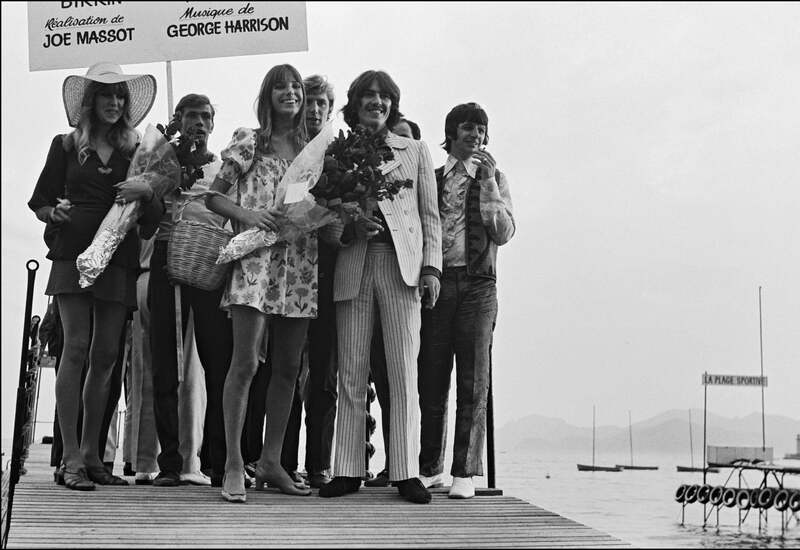 Before Cannes popped open like a ripe popcorn kernel, life was as glamorous as it could be on the Croisette - even the Beatles were there. Actually, half of the Beatles: George Harrison (with his wife, Pattie Boyd) and Ringo Starr (with his wife, Maureen Starkey) were there to support American-British director Joe Massot's Wonderwall, a psychedelic love story starring Jane Birkin (playing a character named Penny Lane) and Jack MacGowran. Wonderwall was Harrison's first foray into movies - he composed the score and ended up contributing from his own pocket to partially fund the project. Wonderwall screened in Cannes on May 17th, 1968, but struggled to find a distributor - it would open in Great Britain in early 1969. The Beatles would split a year later. Massot would go on to direct the Led Zeppelin documentary The Song Remains the Same.